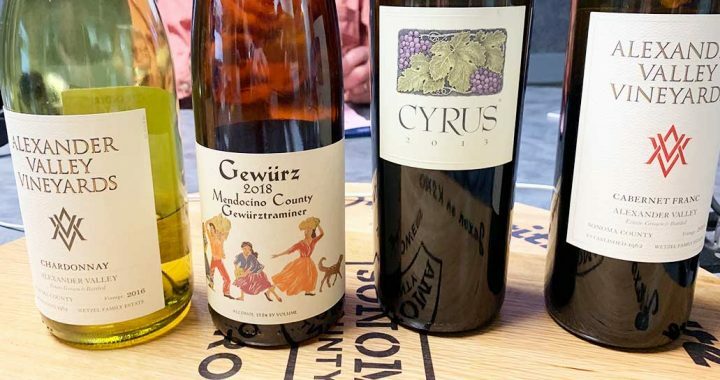 Harry Wetzel from Alexander Valley Vineyards is our guest today on California Wine Country with Steve Jaxon and Dan Berger. Also with us is Mariangela Guarienti, CEO of Della Toffola USA, the US branch of the Italian company that makes top-quality world-class winemaking equipment. Mariangela Guarienti is CEO of Della Toffola USA,. Her family was in farming and produced wine. Her grandmother was of the Bertani family, who produce Valpollicella, Amarone and Soave wine in the Veneto region of northeastern Italy. She is an agronomist and she worked for a company in the commodity aid business in Africa, based in Zimbabwe. Later she went to Cile to open the South American branch of a competitor to her current employer, until 2009. Then she moved to California to open the US branch of Della Toffola. They had had sales through different distributors and when she arrived she set up their own complete operation. Harry Wetzel is familiar with Della Toffola’s machinery. Mariangela says that their service technicians are on call all the time during harvest. Steve asks Harry to describe this year’s harvest and he says it has been ideal this year. They set records for tonnage this year, in several varieties. Dan says that ’15, ’16 and ’17 have been good and ’18 may exceed them both. Harry agrees that the last few have been good but slightly below average in tonnage. This year, though, is abundant. Dan suggests trying to imagine how Sonoma looked in the late 1840s. There was almost no agriculture there yet. There were some prunes and vegetables sold in the city, but only in about 1880 and 1890 it started. Italian Swiss Colony was founded in 1881 as a utopian colony and that was the beginning of local agriculture and winemaking. Hops were grown early in Sonoma and now they are making a comeback. Harry’s grandparents, Harry and Maggie Wetzel, bought the estate in 1962. The buildings were dilapidated. The original Cyrus Alexander estate was in a shambles. His grandmother put a lot of time money and effort into restoring the original home and the original adobe building behind the house. They also have the original Alexander Valley schoolhouse on the property. Dan says it is really pretty and worth visiting. Mariangela describes some of their machinery, including bottling lines. Dan says the automation is fascinating. 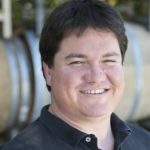 Dan says small wineries might not need it but larger wineries are desperate without it. Harry says some smaller wineries bring in mobile bottling lines. In their case, they have grown their bottling line as the business has grown, from about 7500 cases to about 150,000 cases, over the years. Now they will taste a 2016 Chardonnay from Alexander Valley Vineyards. They add about 1% of Viognier. One year they had a lot of it and added it to the Chard, and they liked it, it adds a nice floral aroma. 30% oaked, 70% in steel. Steve says the balance is very nice. Dan says there are pineapple flavors and also fresh peach aroma. They are at the southern end of Alexander Valley. There are only a couple of wineries past them, Hanna and Fieldstone are up the road. They are about 15 minutes past Healdsburg. It’s a big family owned and operated company and his dad is still in charge. 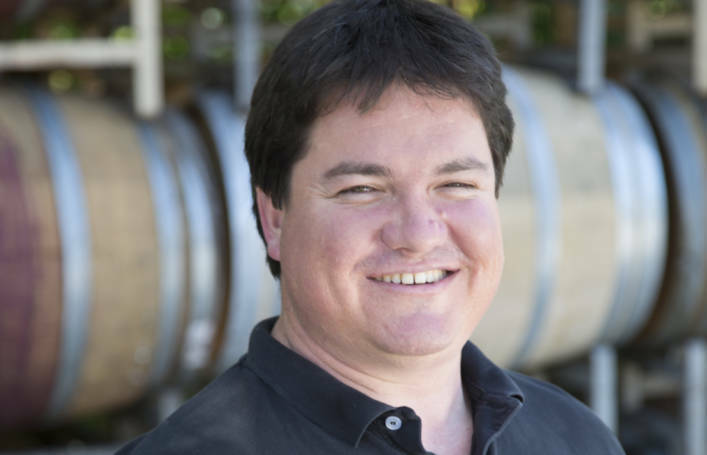 The winemaker is Kevin Hall who has been there for about 21 years. Dan says Kevin Hall has been working in the Alexander Valley for a long time and his wines always have fresh fruit components. The Gewürtstraminer that the are tasting is an example of that. The Gewürtstraminer is the first bottling of this year, a 2018. It was picked on September 10th and is being bottled today. Dan gets gardenia and carnation aromatics, with some turpine components maybe like night-blooming jasmine. It’s succulent without being sweet. Dan says to drink it with some spicy Thai food. Gewürtstraminer is a tricky grape and ripens in an odd way. As it ripens, it picks up sugar very fast. So André Tchelistcheff told him to make great Gewürtstraminer you have to sleep in the vineyard, meaning you have to watch the sugar and harvest at just the right time. Next they taste a Cabernet Franc. Dan calls it the parent of Cabernet Sauvignon. Cabernet Franc is not as sensitive to climate, it takes care of itself. It’s one of the seven or eight authentic Bordeaux varietals. Harry says it needs some significant sun exposure. It’s Harry’s favorite grape, it’s a little more interesting and nuanced. Lastly they taste the Cyrus, which Dan has written about. 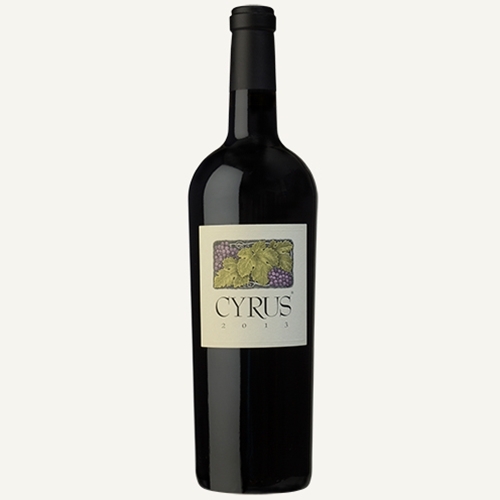 64% Cabernet Sauvignon, 20% Cabernet Franc, 7% Merlot, 5% Malbec and 4% Petit Verdot. Dan says this is the wine you want to put away for your grandchildren. Harry had to do a paper in college about marketing a new wine. 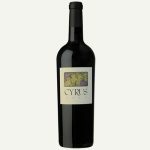 His father suggested something like Cyrus, he wrote the paper, then he learned that his father had made the wine and only had not released it yet. It sells for about $65 per bottle.